It’s official, Esso brainwashed the Welsh into supporting England at the 1970 World Cup. We should sue. As a vulnerable, easily-led, seven-year-old in Llangunnor, Carmarthen, I collected the coins via my old man, who visited the Esso just the other side of the bridge out of the town centre . Even now, I still look at the spot with anticipation without immediately realising why. Then I remember – the petrol station visits were hugely exciting at a time when I’d fallen in love with football and Cardiff City, then tearing up the Second Division and looking certain to make it back to the First. Dad was a keen driver and we must have piled up a fair number of the coins. 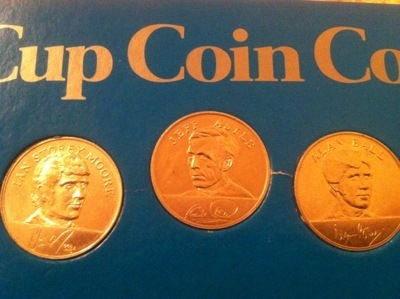 The collection helped fuel interest in the 1970 event, the first one I remember. David Coleman’s terse commentary and the atmospheric Mexican buzzing bee hum of the matches stay with you. Obviously, the Esso mind control has worn off and Panini have cornered the market in this sort of thing with their stickers. 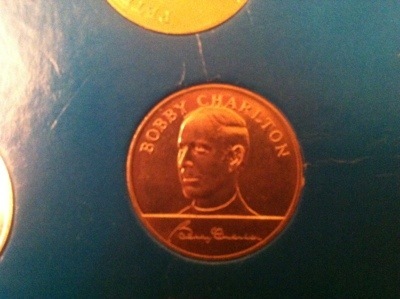 But the coins and the hardboard are still an attractive, evocative item of football memorabilia. Not worth a great deal by the look of it – an internet search put it at maybe £25. 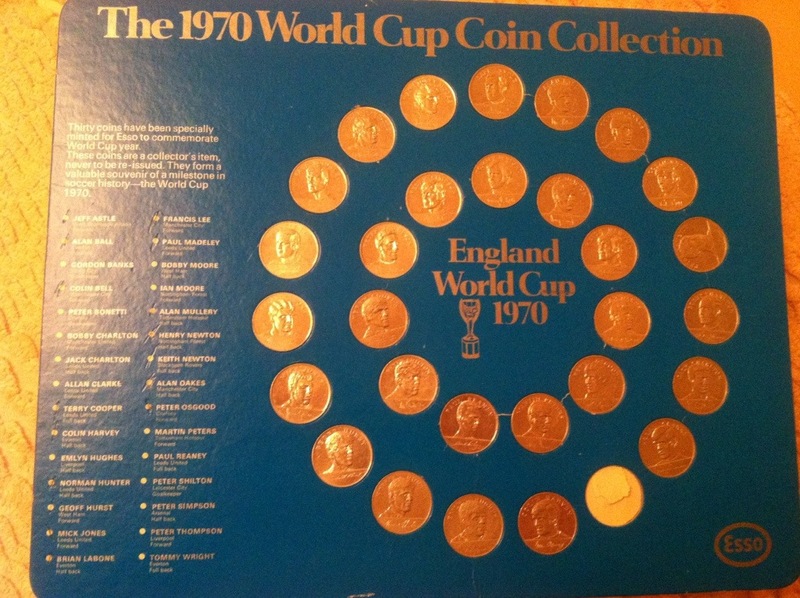 And, er, if you’ve got a spare Alan Mullery, then that would complete my set.